Please note, if you are not a fan of biking, alternative methods of transportation that enable you to still enjoy the great outdoors, and the Charlotte Greenway, are Scooters (Lime or Bird) and your lovely own two feet. 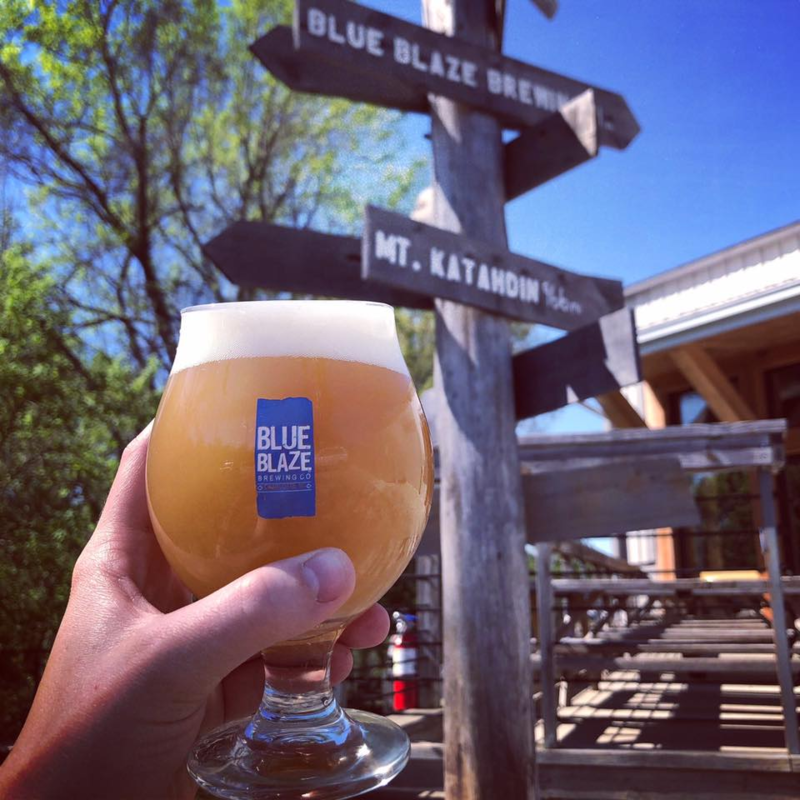 · Stop 1: Blue Blaze Brewing. Located at 528 S Turner, we are going to start away from Uptown and move our way along the Greenway in towards the city. Blue Blaze is a rustic log cabin/ski chalet type establishment where the beers are named for different hiking trails and markers. They have free snacks and fire pits for s’mores at night. My particular favorite is the Pink Blaze but it isn’t always on tap. A tried but true goodie is the Blue Blaze and one of their staple pours. 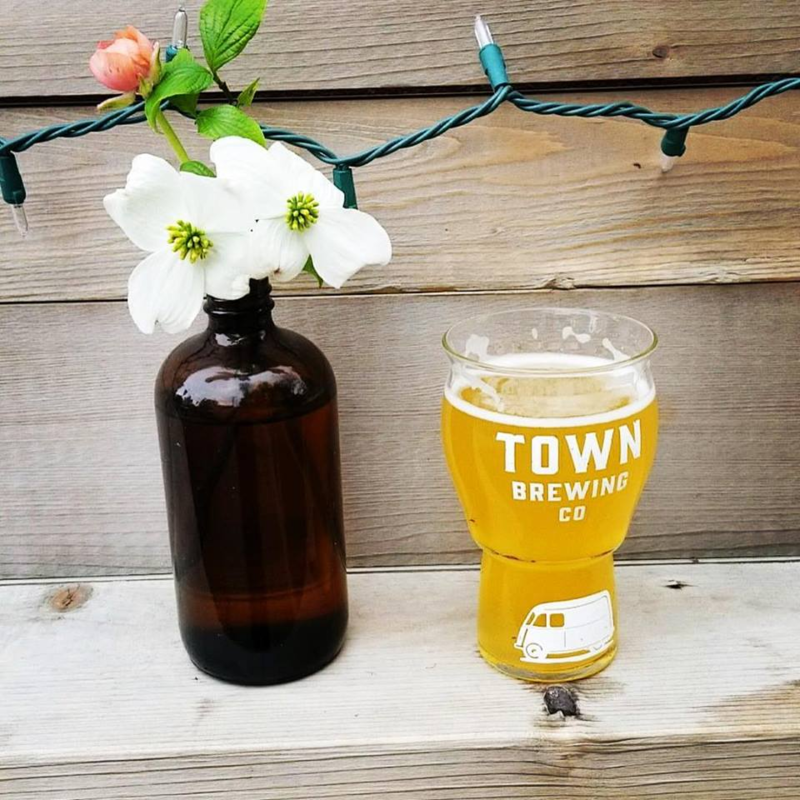 · Stop 2: Town Brewing. Making your way down the Greenway towards Uptown, this early portion is going to be the greatest distance you will need to cover. Hence, why it is early on the path, after only a beer or two you should be able to make it easily. Town is located right next to Rhino Market at 800 Grandin and is a phenomenal new spot complete with a retro bus out front. The names of the brews are all unique and a bit punny. I enjoy the fruit-infused goses and haven’t had a bad one yet. · Stop 3: Rhino Market is conveniently across from Town and a great option to grab a little snack, a beverage for rehydration and also maybe another beverage of choice. Regrouping here is always a good idea and enjoyment of the back patio is key. · Stop 4: Clutch Kitchen & Pour House, formerly the location of Draught is up next located at 601 S. Cedar St. They boast great specials and views of the panthers Stadium where one can sip on a cold one and daydream about fall and football. · Stop 5: This is where the truly committed are called to task. The trek to the final destination is not bac, but a bit winding through the Greenway path behind Clutch towards Gateway Village and where the journey ends at the Pub at Gateway. 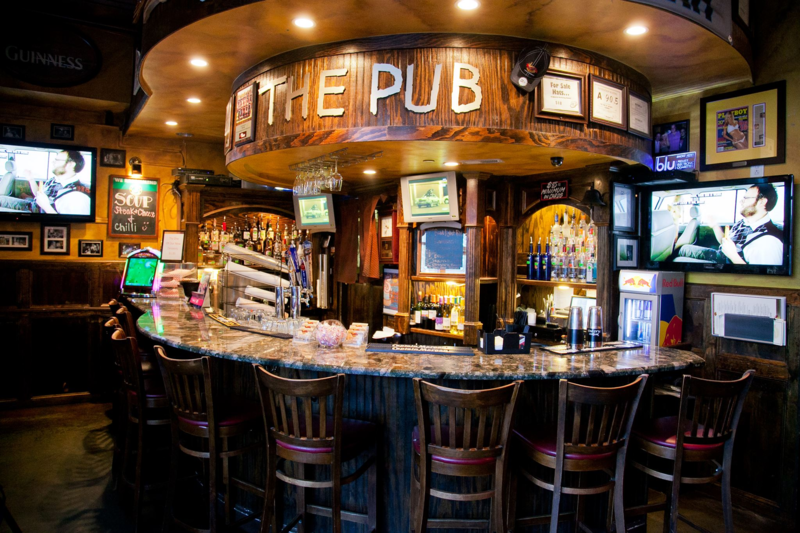 The food here is the perfect solution for the an end of crawl location and despite the ongoing construction, is typically filed with friendly faces. Spring has sprung, and you know what that means- Baseball season is back! I am truly not a sports person who goes to the game to watch the game. I’m all about the experience, and Knights baseball games are THE most fun sporting events to go to if you aren’t a sports fan. I’m sure they’re fun for sports fans too, but I can’t relate. 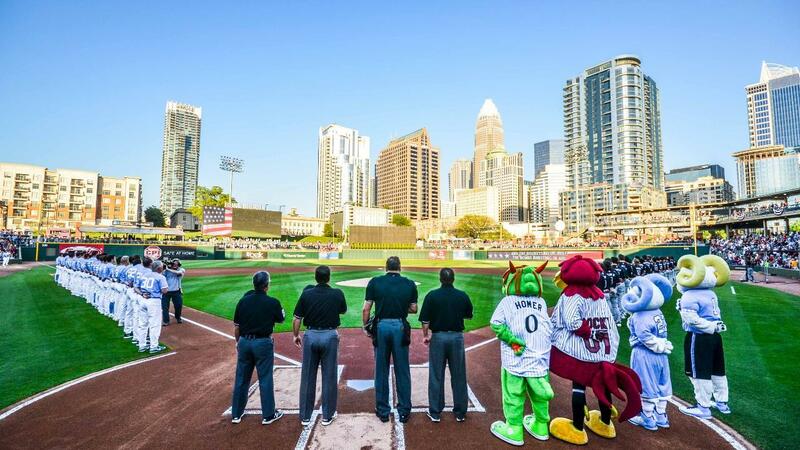 This Thursday is the first game of the 2019 season, and attending one or many of our Triple-A White Sox affiliate team’s games is something you should include on your Charlotte bucket-list. If you’ve never been to a Knights game because you’re new to town, have never gotten around to going, or just don’t care enough about baseball to even waste your time, I’m providing you with the guide to attending your first Knights game. 1. If you want to watch the game but don’t necessarily want to deal with people continuously asking for you to stand so they can slide past you on their way to the bathrooms/concessions, then standing room only tickets are the way to go! Not to mention, the cheapest option for the folks on a strict budget! Get them for $9 and just stand in the designated area to watch the game or socialize. 2. Don’t like to go anywhere without your dog? The Knights have you covered. 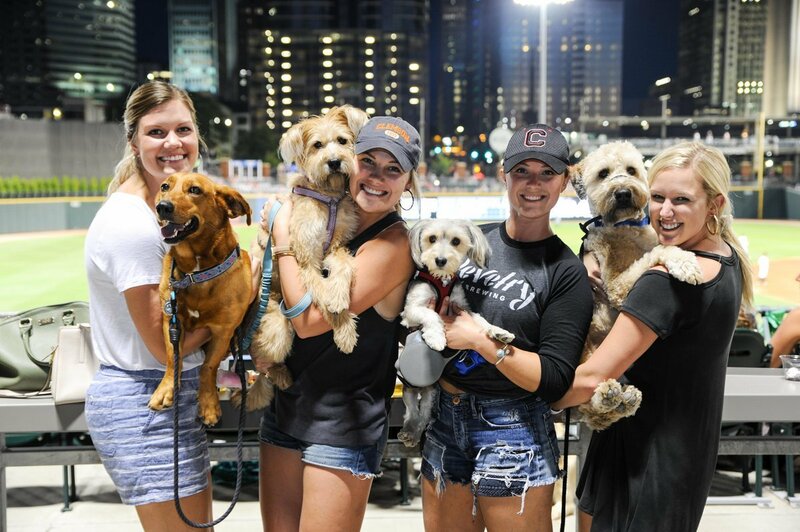 Each season, they set aside a handful of games where you and your furry friend can enjoy the game and meet all of the other dog parents of the city. Mark your calendars for Monday, April 8th, June 3rd, July 28th, and August 26th (A.K.A. National Dog Day!). 3. Go to Friday night games if you want to see some good ol’ fashioned baseball game fireworks. Every Friday, the Knights games will end with a literal bang, in the form of fireworks. It’s not quite the same as Disney’s $50 million per year budget show, but it’s pretty dang close. 4. Thirsty Thursdays are the best way to spend your Thursday. Every Thursday during the season, get $3 domestic beers, $5 craft beers, and $1 small sodas! 5. Try the signature Knight’s beer by Birdsong Brewing Company, All Knight Long. This 4.5% ABV Belgian ale will now be available for purchase at the park in cans, and also in select outlets across NC! 6. Sabor Latin Grill will be serving up Latin street food throughout the season. Get ready for empanadas, tacos, nachos, and Elote Loco (Mexican -style corn on the cob). Find Sabor near the third baseline! 7. Don’t pass up on getting Dippin’ Dots in a plastic Knights Hat. It’s tradition. 8. April 7TH is Homer the Dragon’s 30th birthday. Celebrate the Knight’s mascot, Homer, as he turns 30, flirty, and thriving. The first 2,000 fans will receive a Homer the Dragon Birthday Bobblehead that will be the perfect, new coffee table accessory. 9.There are 4 different opportunities to go home with a specialty bobblehead! Including Homer’s birthday, you can also be the lucky winner of a brand-new bobble head. The other dates are May 14th, June 9th, and July 27th. 10. Parking is available! If you insist on not taking an Uber or a Lyft to the game, there are a handful of parking decks around the stadium to choose from that are within walking-distance. Sure, there are differences in Girls Nights between the two decades, but that evolution is fun. 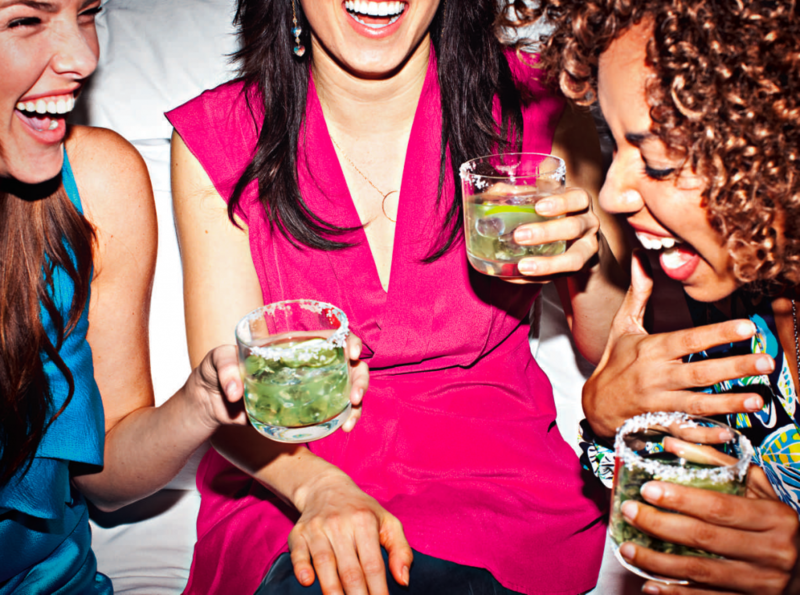 The same benefits from a Girls Night Out remain, though, a lot of chatting, bonding, and comradery, with just the right amounts of mischief are sure to bring about lasting memories. The words I am currently typing have been long awaited and much anticipated (by myself and my neighbors). 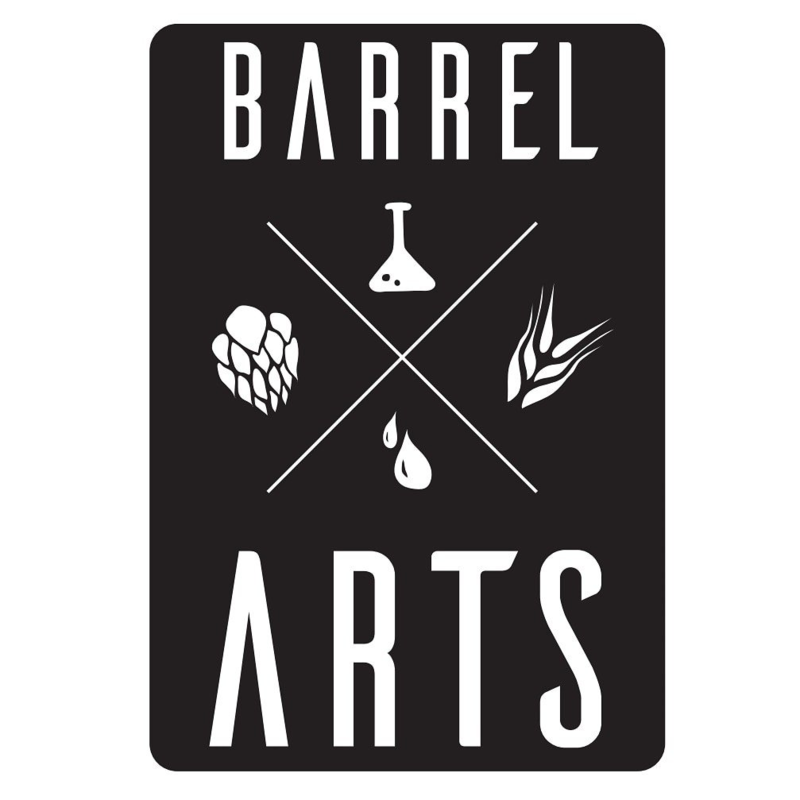 Heist Brewery and Barrell Arts has opened!!! Located at 1030 Woodward Avenue, nestled behind the (fairly) new Double Oaks Pool and a block away from Camp North End, sits this amazing new area hot spot. It is vast in both its indoor square footage, very cool beer garden, and parking which gives it many attributes that make for an appealing hang out location. 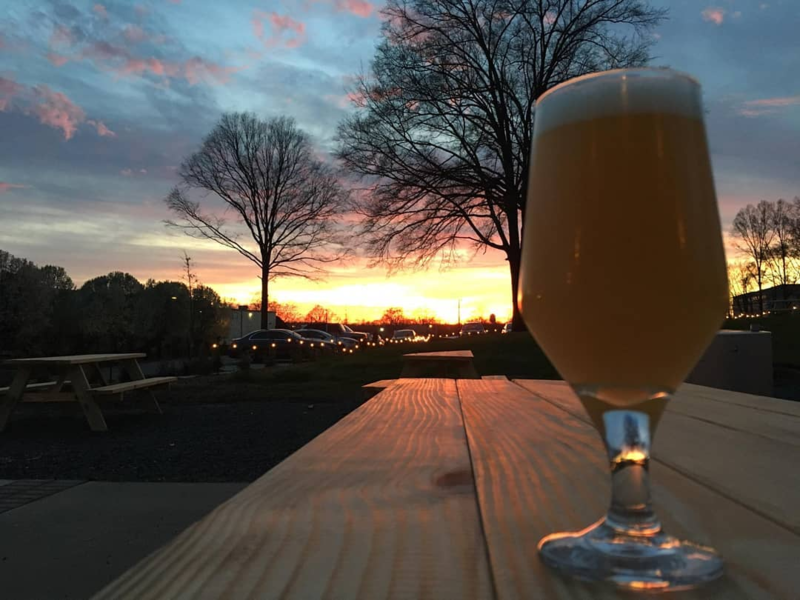 Owned and operated by the same folks as Charlotte’s OG brewery, Heist, the Barrell Arts location does not disappoint on its offerings. Having officially opened on February 21, the location has wasted little time in bringing on the fun and events to the area. They have already held: a grand opening party, ACC game watches, animal adoption events, a can release, and organized a great calendar of weekly and larger upcoming events. Day/Evening is a food truck! Eventually the location will have its own full kitchen (fingers crossed for another amazing BRUNCH buffet!!!) but for now there is a great rotation of trucks and snacks available behind the bar (crunchy Cheetos are all I had eyes for). Monday at 6:30 pm, starting on March 25th, will be the Heist Brewery Run Club. The initial run will also be a fundraiser for the American Cancer Society with raffle tickets and $1 donated from every beer sold. Tuesday night at 6:30 pm, one can enjoy some yoga and a beer. Then, you are going to say, “namaste” (sorry, I had to) because trivia starts at 7:30 pm. Wednesday night at Live Music night where they will feature a local artist either in the taproom or out in the beer garden. 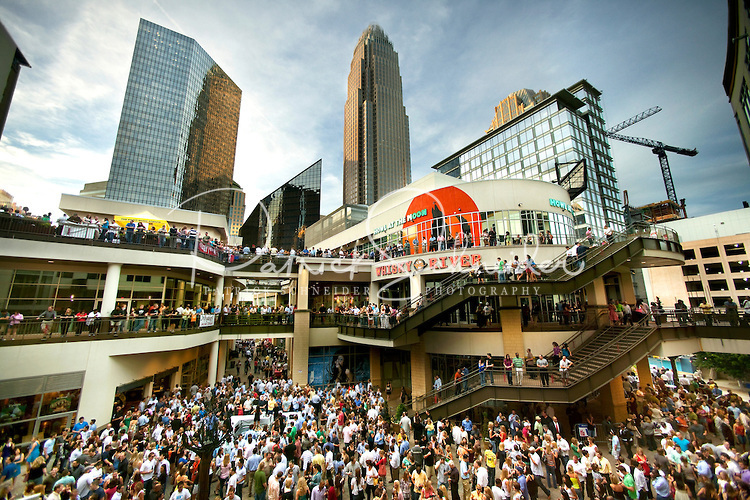 An additional event to keep on your radar is Friday, May 3 1pm-11pm for the Official Unofficial Untapped Pregame that is being held to kickoff first ever Untappd Festival at Bank of America Stadium.